The renowned group The Capitol Steps brought their musical satire to The Commonwealth Room in Salt Lake City Tuesday evening. When a group of former Senate staffers launched the Capitol Steps, Ronald Reagan was president and, in hindsight, the material there for the musical parody revue seems almost quaint. In the 35 years since, the show’s satire has become a comic staple, a must-see for junkies of our quirky democracy, and it feels in some way that all that practice has been building to this moment in the theater of the absurd. Tuesday night, five of The Steps’ players gave a decidedly Democratic-leaning crowd at The Commonwealth Room — the event was preceded by a fundraiser for Senate candidate Jenny Wilson — a chance to laugh off the election year tensions and frustrations. The night featured a dizzying list of impressions — Barack Obama, Hillary Clinton, Vladimir Putin, Chuck Schumer, Mitch McConnell, Jeff Sessions, and on and on. A personal favorite was the four liberal Supreme Court justices singing a number about the key to keeping the court from going completely off the rails — that is Ruth Bader Ginsburg and Stephen Breyer, “Staying Alive,” from the old “Saturday Night Fever” soundtrack. Playing Melania Trump, Jenny Corbett got howls when she revealed the secret of her attraction to Trump, singing that “I wanna man with small hands” (to the tune of The Pointer Sisters song “Slow Hand”). 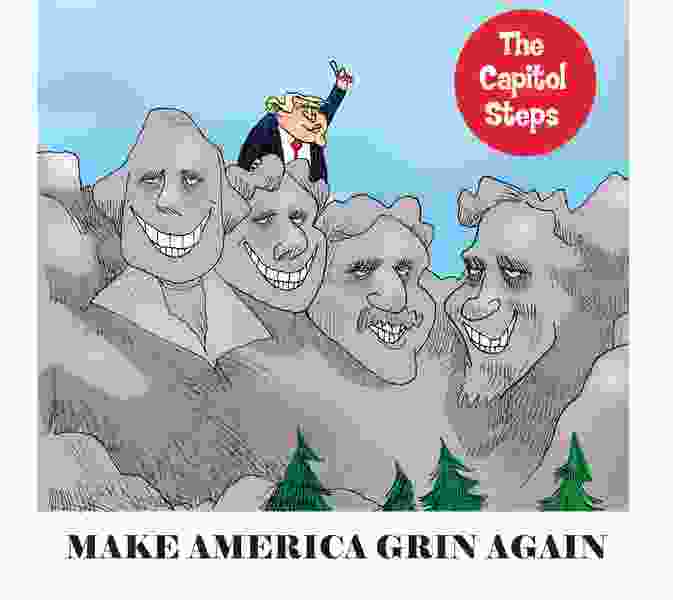 At their core, the Steps remain a bit of a throwback, a lot of vaudeville mixed in with some “Weird Al” Yankovic (or Ray Stevens, maybe, if you’re a little older) and aimed at perhaps the easiest target in politicians. Sure, some of it felt campy and a few missed the mark. But overall, they pulled off a slew of characters, covered a ton of ground, got a lot of laughs, and they did it without descending into the nastiness and snarkiness and derisiveness that typifies political discourse and comedy. And maybe if we laugh a little more, we’ll feel like screaming at each other a little less.